"All in one (and only one) rhythm"
Updated: Apple plans to fight the Brazilian copyright regulatory ruling, according to Reuters. Apple, no stranger to lengthy legal battles, will probably take this one as far as it can. There's only one "i" in "iPhone," and it doesn't belong to Apple in Brazil anymore, according to a reported ruling by the country's trademark regulators. 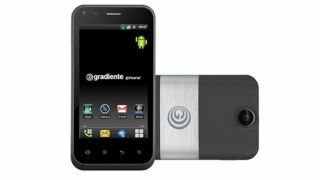 The Institute of Industrial Property (INPI) in Brazil told the BBC that, instead, it has awarded the name's exclusive rights to Gradient Eletronica, ironically an Android-handset maker. Gradient Eletronica had trademarked the iPhone name back in 2000, well ahead of Apple's first iteration of the smartphone in 2007. Apple has already begun to appeal the decision, the INPI told the BBC, arguing that Gradiente had not used the name until December 2012. Gradient Eletronica now has the right to sue Apple for using the iPhone trademark on handsets in Brazil. Worse, the Brazilian company launched an "iPhone" smartphone of its own this past December, and it runs rival mobile operating system, Android. Adding insult to infringe-ry, Gradient's "iPhone Neo One" has some paltry specs: a single-core 700MHz processor, a 5MP camera, and the outdated Android Gingerbread OS. Its low-resolution 3.7-inch screen at 320 x 480 pixels is far from a Retina display, and the phone has a meager 2GB of storage inside. Not much of a consolation prize, Apple can still use "iPhone" on products besides handsets. The California company retains exclusive rights to the name on clothing, in software, and across publications. The good news for Apple is that Gradient executives are keeping their iPhone Neo Ones charged in case the company decides to call. "We're open to a dialogue for anything, anytime," said Eugenio Emilio Staub, chairman of Gradient parent company IGB, to Bloomberg this month. "We're not radicals," he added. Staub said that Apple hadn't reached out to the company as of that Feb. 5 comment. TechRadar asked Apple and Gradient Electronica for comment on the matter, but both companies didn't respond to media requests in time for print. Depending on how Apple's appeal process goes, however, Gradient may have a Cisco-style payday on its hands.